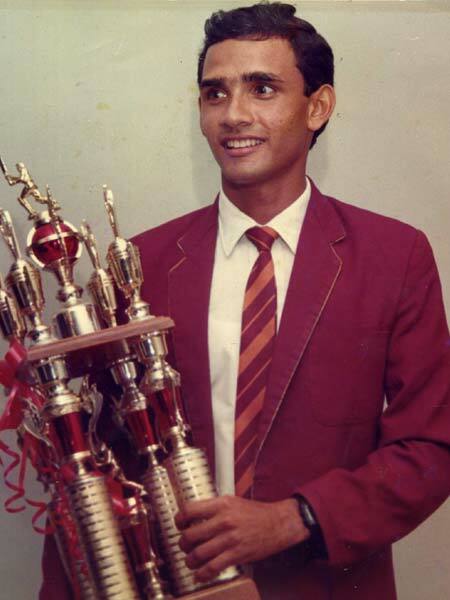 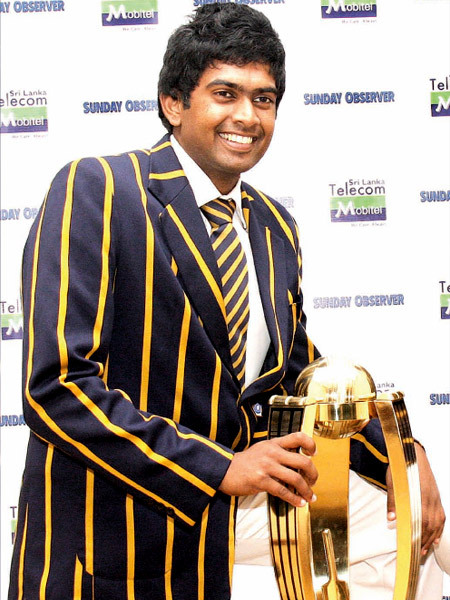 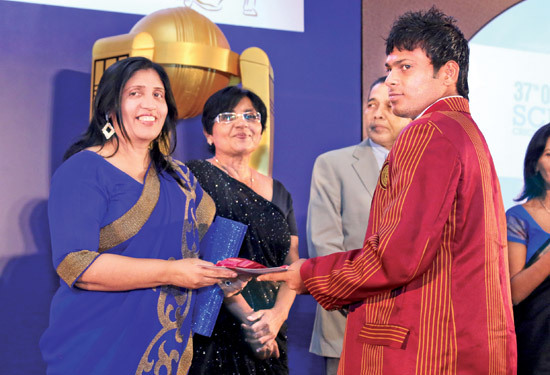 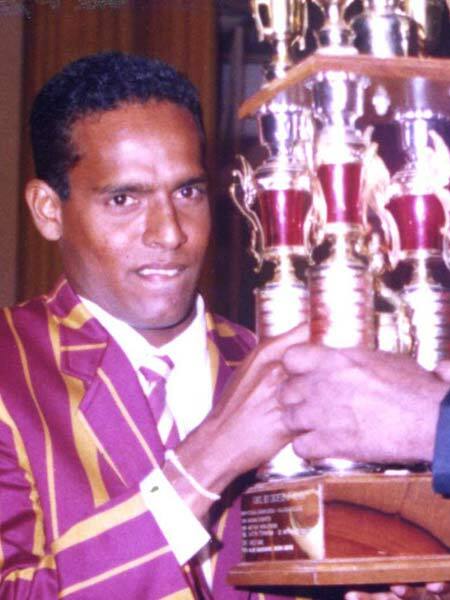 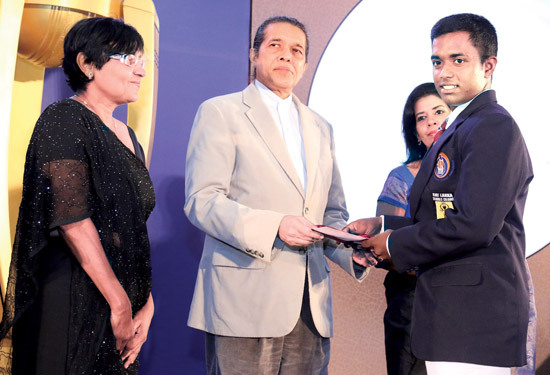 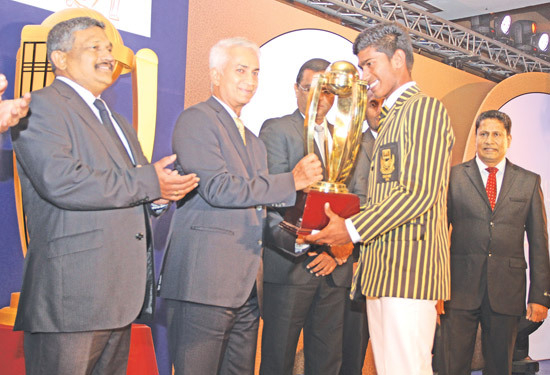 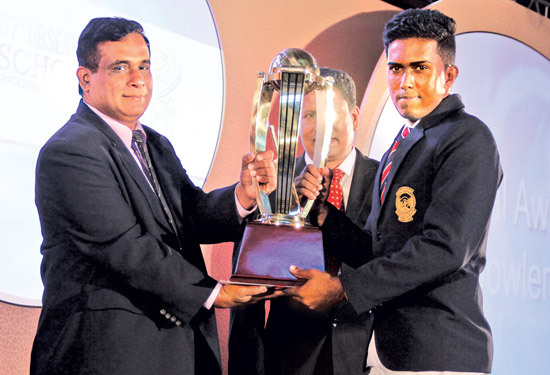 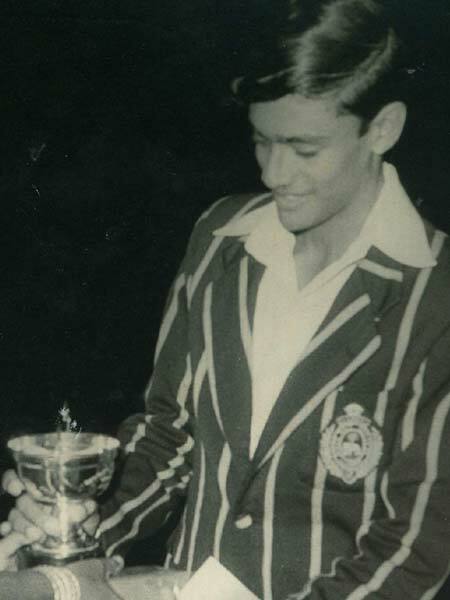 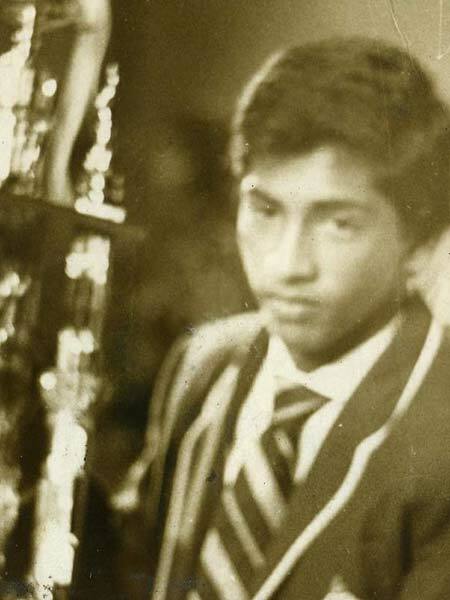 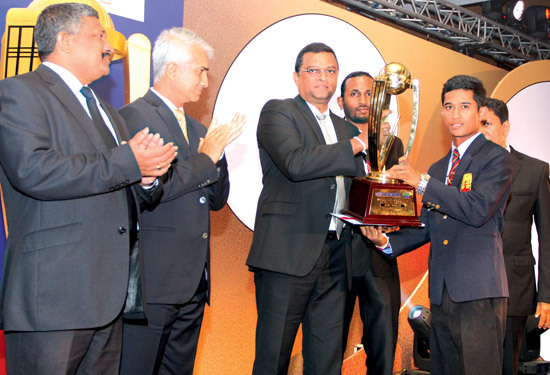 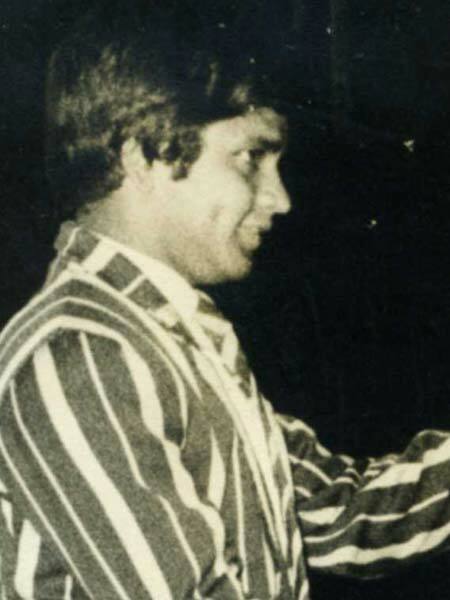 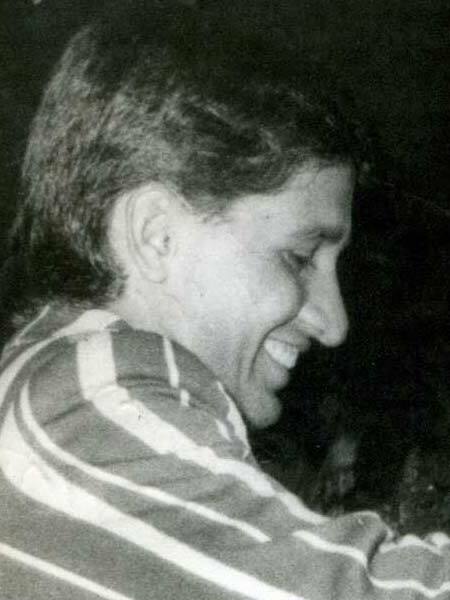 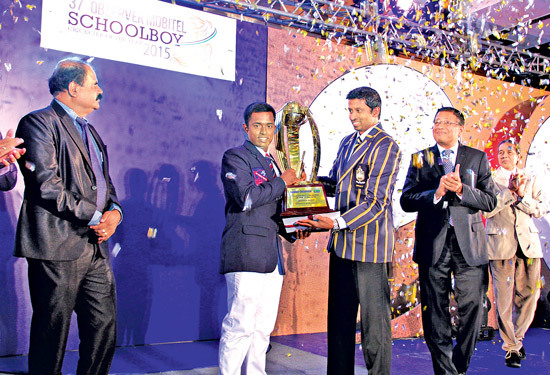 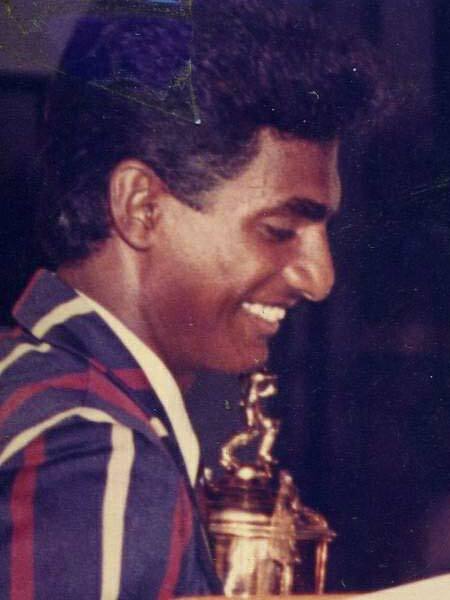 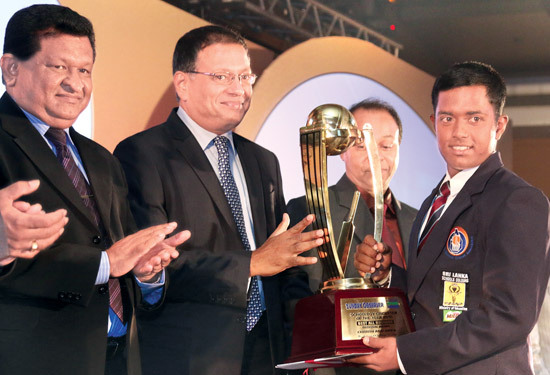 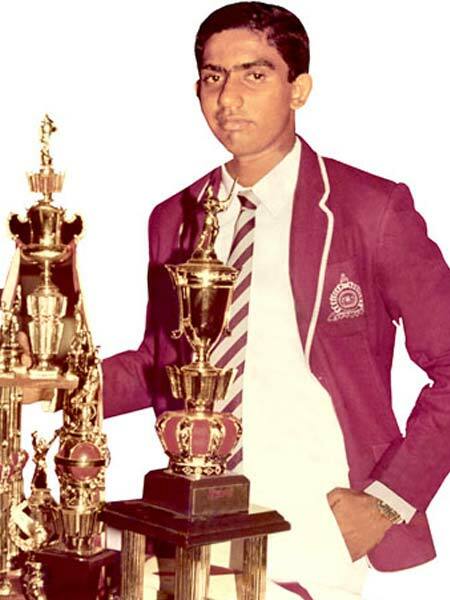 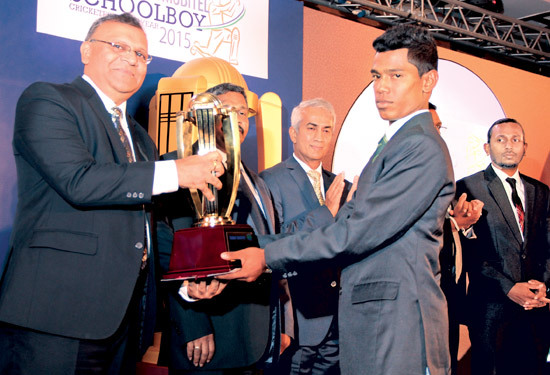 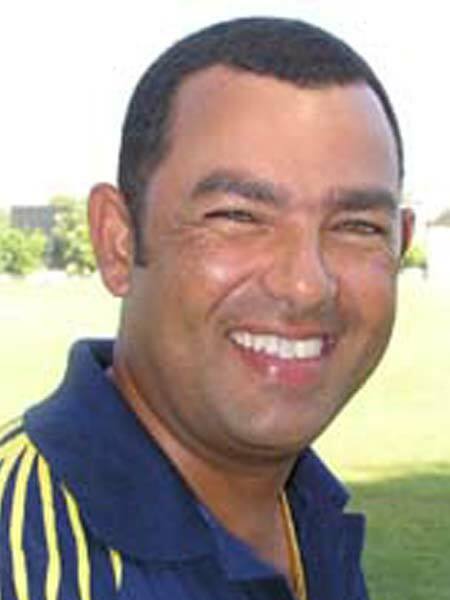 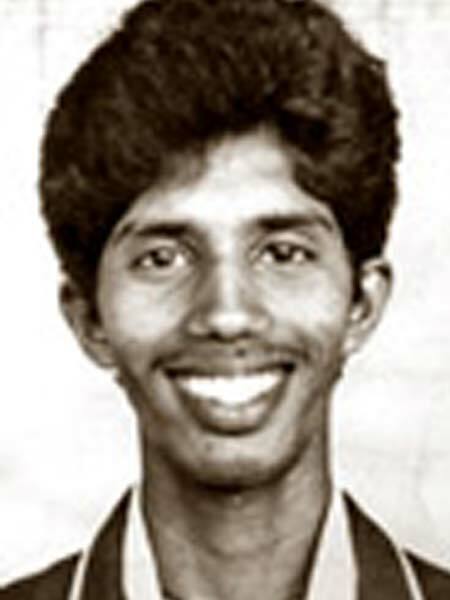 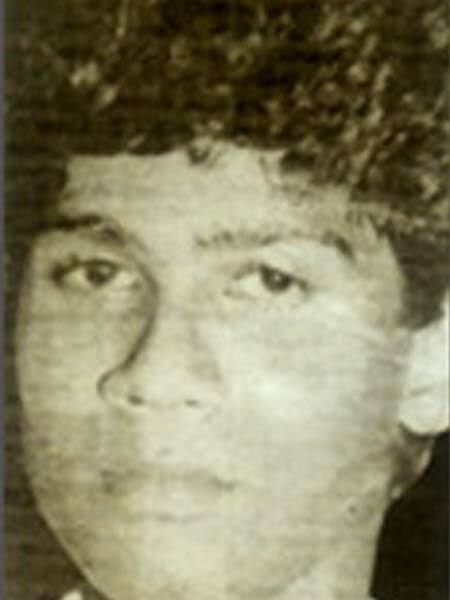 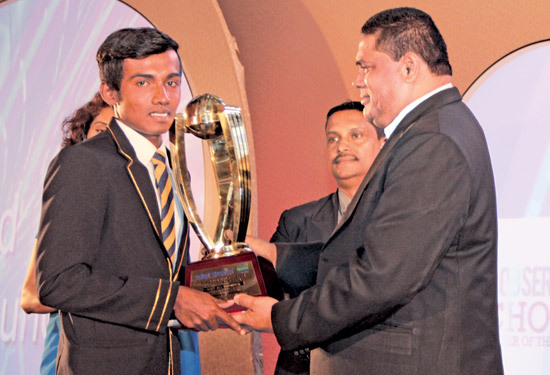 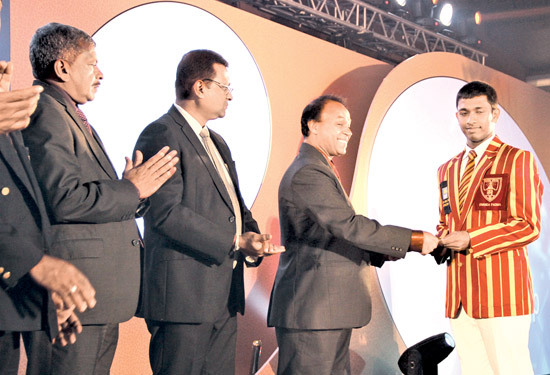 Charith Asalanka of Richmond College,Galle became the undisputed champion schoolboy cricketer for the year 2015 winning three major awards . 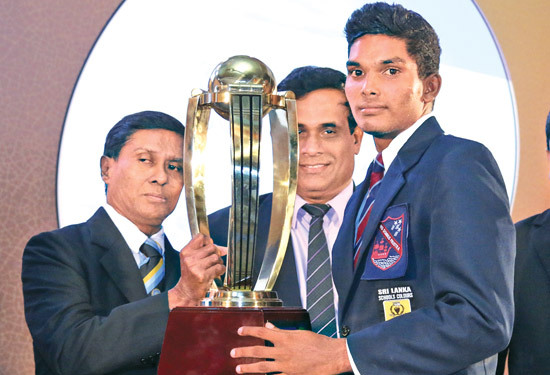 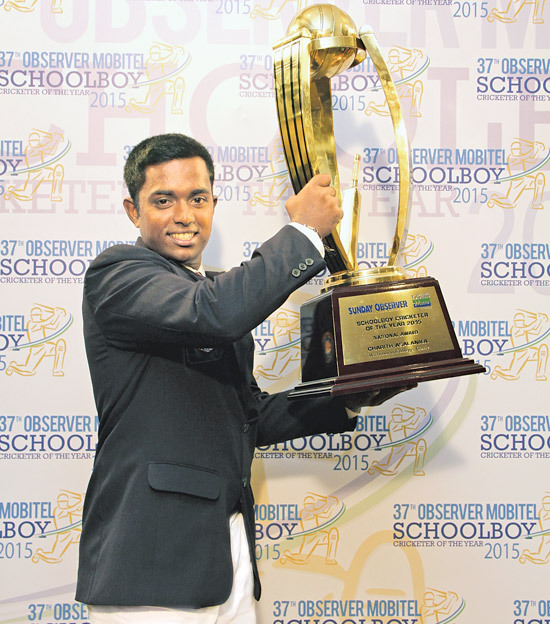 Asalanka won the most prestigious 37th Sunday Observer/ Mobitel Schoolboy Cricketer of the Year award last week in a ceremony held at the Galadari Hotel main Ball Room .He has been representing his school Richmond and captaining theteam at all junior levels. 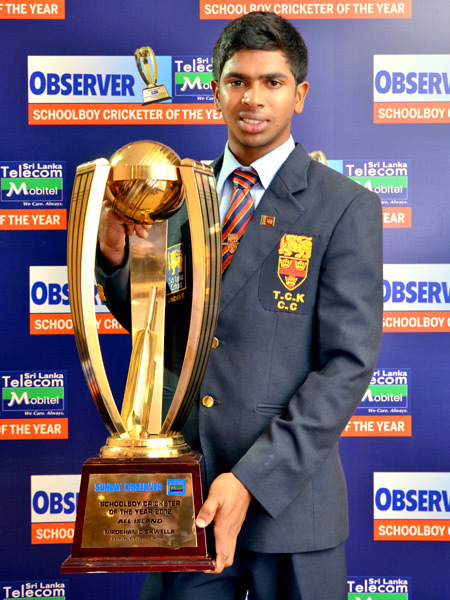 The 2015/ 2016 school cricket season should be another significant year for him as he will be captaining the first XI . 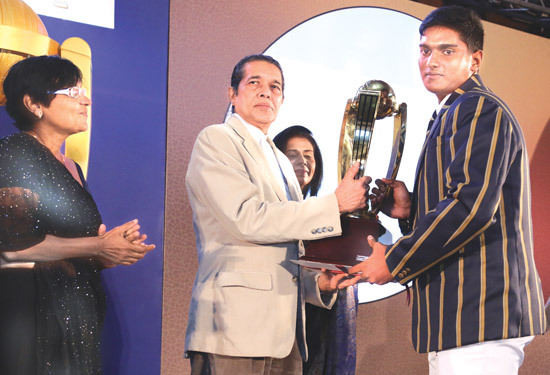 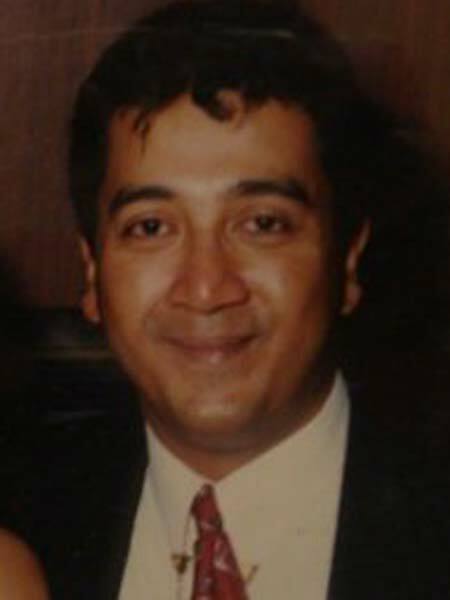 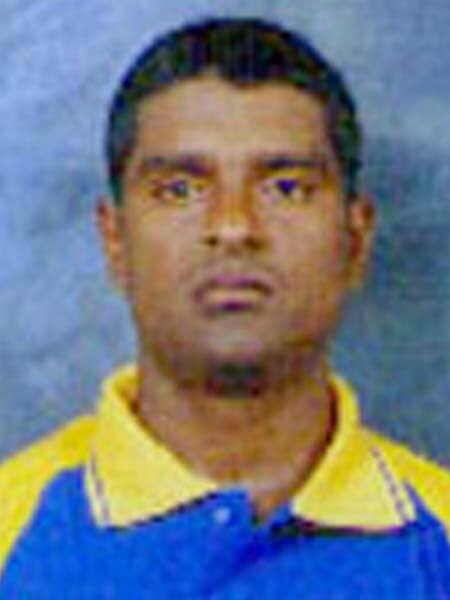 A fine left handed batsman and an useful off spin bowler , Asalanka has represented the Sri Lanka schools under 19 in major tournaments and have toured Bangladesh and played against England and Australia in a home series . 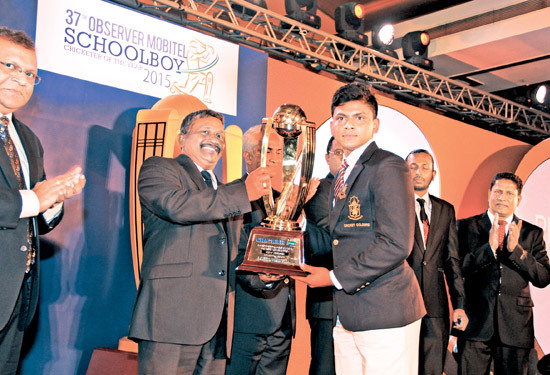 In this year’s Sunday Observer/ Mobitel contest besides the main Schoolboy Cricketer Award, Charith Asalanka won the National award for the Best All rounder and also was the runner up in the Most Popular contest in the platinum category . 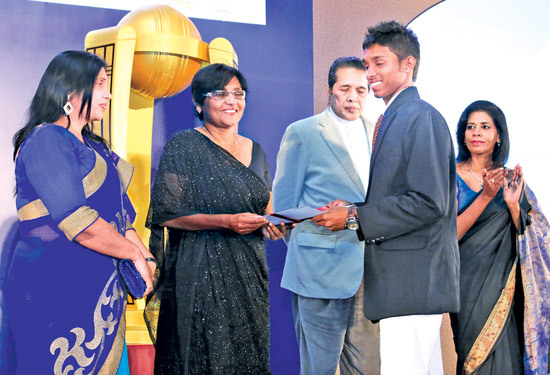 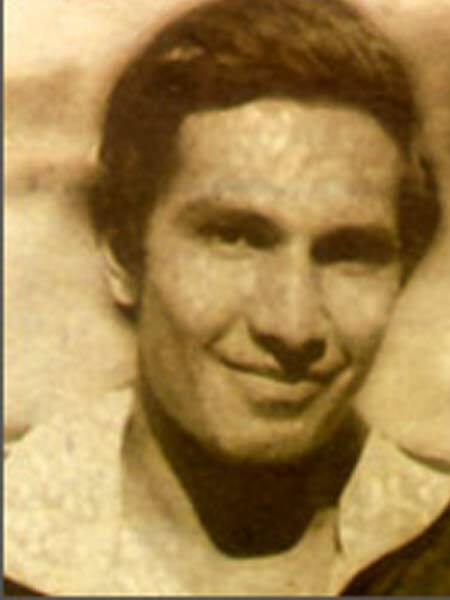 His ambition is one day to represent the country at the highest level. 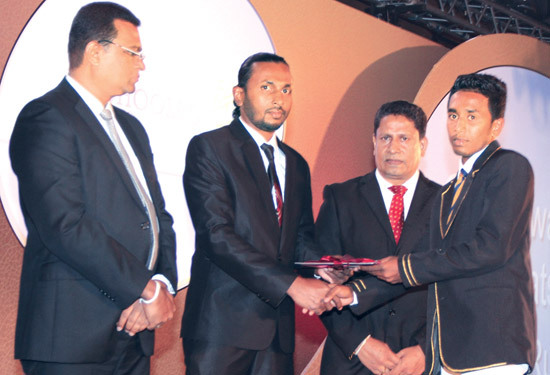 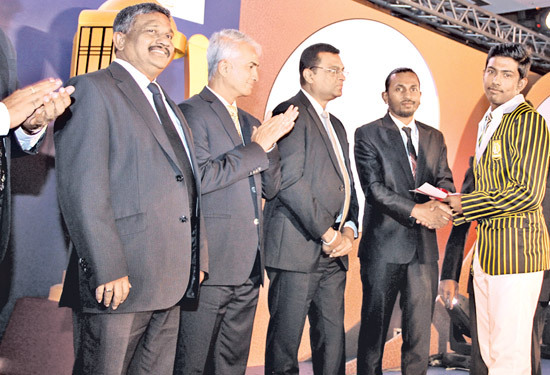 Best batsman Gold; Pathum Nissanka Kalutara MV receiving his award from GM ANCL Abhaya Amaradasa.